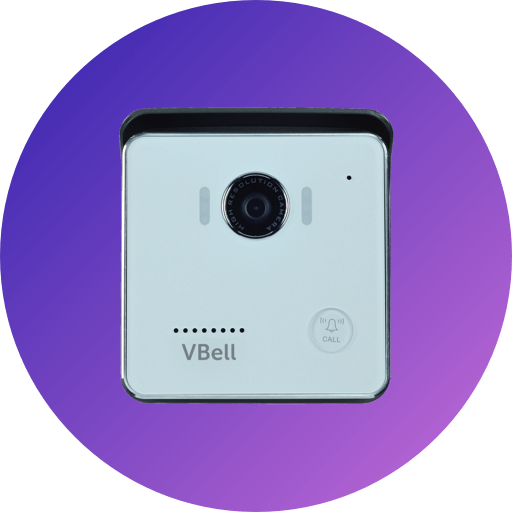 VBell series of intercoms provide free cloud services, so you never miss a visitor's call; as always at home. 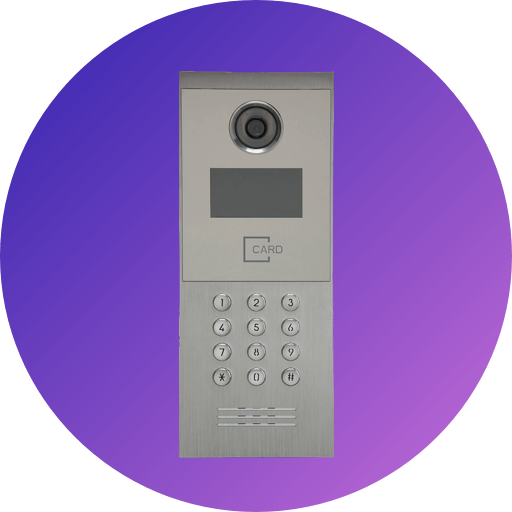 The DP-104 SIP Based IP Video Door Intercom Station is a new, elegant video door intercom with a compact shape that has an easy-to-install surface mount. It works with SIP based phone systems and is compatible with most modern IPBX systems supporting both audio and video. 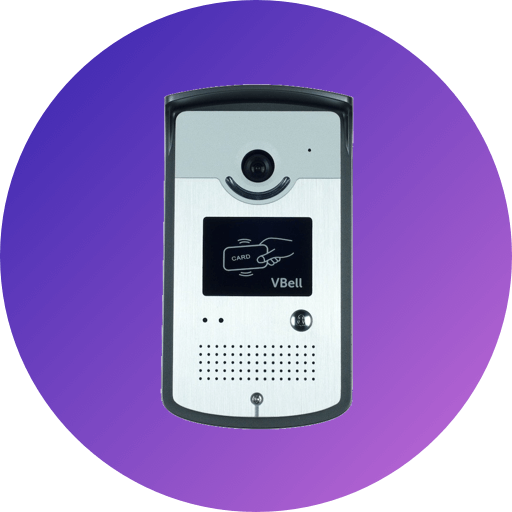 If you want to identify who is at your door before you answer the phone or before letting them in, then the door phone is available with a built-in IP camera supporting up to 1280 x 720 HD video. This video can be viewed in a web browser and shows real-time video on a PC or on a mobile phone/tablet that supports iOS and Android. The DP-104 SIP Video Door Phone allows entry with the simple press of a key. It is great for unattended lobbies, front doors, gates, warehouse doors, or anywhere visitors may require assistance. Therefore, it is equally suited for commercial, residential, or public facilities. DP-201 SIP IP door phone with flush mount and water proof, run on the Internet and provide more services for access control system, is coming soon. It can be combined with IP Phone as a tool to open the door. It can also be combined with a smartphone (supported both iOS and Android system) as a tool to open the door. Let users no longer limited by time and place. No matter where you are, can talk with visitors who at your door and remote open the door for visitors. The DP-201 outdoor SIP IP video door phone adopts VoIP SIP protocol, and supports SIP register mode and peer to peer mode. It can work with most modern IP-PBX such as Asterisk...etc. It also allows users make a call by inputting the IP address of the call receiver directly. No IP-PBX is needed, which saves the cost for the system implementation. DP-303 Intelligent Building IP Intercom is suitable for door entrance access control of the residential community, with a 4.3-inch color TFT LCD screen, support for SIP protocol and provide point to point mode, you can enter the IP address directly to talk with who at your door.